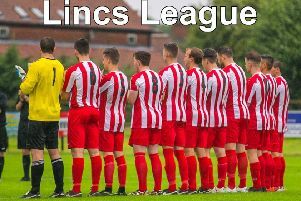 Market Rasen Town moved off the foot of the Lincolnshire Football League after earning a good point at Cleethorpes. Town moved above Ruston Sports on goal difference, having played a game less, following the 2-2 draw at Cleethorpes Town Development Squad. Having lost 11 of their first 12 league games this season, Rasen have now lost just once in four league outings and trail 10th-placed CGB Humbertherm by just three points.